We don't have much. On the walls, that is. I recently took a photography class, and for our last assignment I went out to take some photos of our downtown area. Then I managed to find a mat for the 11x14 for just $2 at Hobby Lobby. Score! Now I just need to take a portrait shot for the middle frame. I wish I'd thought to take this picture during the day! You get the idea. I also got a 16x20 Barnwood frame for the other side of the dining room opening, and a matching mat at Hob Lob. Tip - matting is much cheaper there than at Michaels! Hang anything lately? 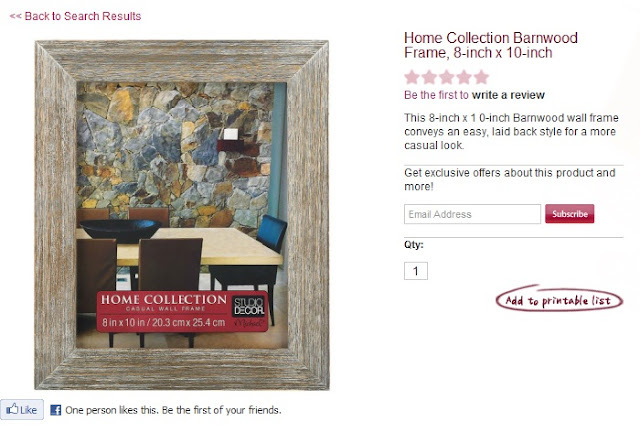 Love the barn wood frames. We just received a beautiful wedding gift that was a custom made mirror with a barn wood frame. I will have to hit up the Hob Lob to see if I can score a good deal on a few of those frames. Great photos! Love your pics. They look great in the barnwood frames! looks great! what is the craft paper trick? I need it! I hadn't hung a thing in our new house since we moved in June until 2 weeks ago. Now on a mission and almost finished hanging what we have that we LIKE. There are some things that are now in our storage room that didn't make the cut. But at least that gives us extra frames. O wow!! You did a great job on your assignment! The flower baseket one is so beautiful! You need to frame that one! Your photos are great! I really need to find a photography class in my area, that seems so fun. nice photos! i especially like the flowers. Great job Sara! The pictures are wonderful and you always find a great deal at Hobby Lobby! I wish I had one of those. Joann's doesn't have a great selection.